Our Leather Frog is designed to suspend the dagger or sword and scabbard from a waist belt. 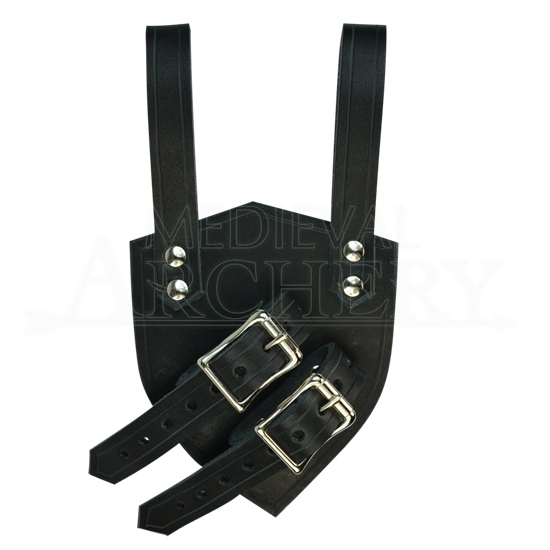 The sword frog comes with long leather straps that adjust to fit all size scabbards. It is available in Left Handed or Right Handed draw, in either black or brown and with silver (steel) or gold (brass) hardware. A left-handed draw sword frog rests on your right side, to be drawn across the body with your left hand. A right-handed draw sword frog rests on your left side, to be drawn across the body with your right hand.